With advancements in veterinary medicine, pets are now living healthier and longer lives. Pets can now be treated for numerous aliments that were not treatable just a few years ago. Having dog insurance can help you afford to keep pet health a top priority. Medical conditions that require surgery are some of the most costly medical insurance claims that pet insurance companies receive. Most surgeries can easily cost several thousand dollars. This means owners without pet insurance would be forced to cover these expenses. For many families, spending thousands of dollars on their pet is not financially possible. For those families that have pet insurance for their pets, surgical treatment is an affordable option. Pet health insurance isn’t just for times when your pet has a major medical emergency. 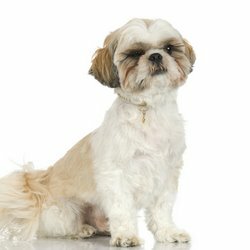 Some of the most common dog health care problems that require treatment include: ear infections, arthritis, eye infections, and skin allergies. Even though these illnesses don’t pose huge financial threats to owners, their treatment costs can still add up. Having pet insurance can help cover an array of medical issues. When choosing pet health insurance, make sure you compare pet insurance plans from a variety of companies. Choose the plan that gives you the coverage that best suits the needs of you and your pet. Give Pets Best Insurance a call today at 866-440-2020 to get a quote on a pet insurance plan for your pet.